A recent article in the New York Times describes a tentative deal in Albany to extend the rent regulation laws in New York. Rent regulation in New York exists not only in New York City, but also in other large cities, such as Yonkers and White Plains. To speak generally, rent regulations usually restrict the amount of rent that a landlord can charge for an apartment. In addition, tenants are usually legally entitled to a one or two year lease renewal, subject to certain restrictions. Landlords are permitted to raise the rent a certain percentage per year, subject to an overall threshold of rent. The proposed deal in Albany would raise the rent at which an apartment can be “de-regulated” from $2,500.00 per month to $2,700.00 per month. What this means is that apartments which rent for more than $2,700.00 per month would no longer be subject to rent regulation, and landlords would be permitted to charge “market rate” for such apartments. In addition, tenants of a de-regulated apartment would lose their right to a renewal lease at a fixed rate of rent increase. For example, if one rented an apartment for $3,000.00 per month for a two year lease, at the end of the two year term, the landlord would be permitted to raise the rent to whatever amount the market could bear. If the tenant does not want to pay the new rent, they would have to vacate the premises. 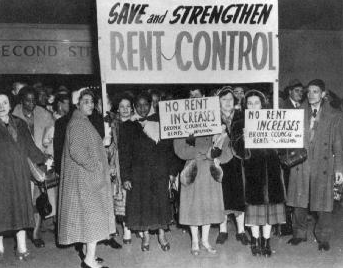 Because rent stabilized apartments renting for below $2,500.00 (soon to be $2,700.00) a month are likely to be regulated, the landlord under such a system has an incentive to remove such tenants after their current lease expires. If the tenants vacate, the landlord is permitted a “vacancy increase bonus,” which allows them to increase the rent that a new tenant would pay, to an amount greater than the legally permitted increase for the current tenant’s renewal. For this reason, some landlords will make a cash offers to “buy out” tenants of their rent regulated tenancies. Our firm has handled these situations, representing both landlords and tenants in different transactions regarding such buyouts, and we have discussed the specifics of such buyouts in a prior blog post. Rent regulation is a highly complex system, and many Courts in New York have interpreted the laws differently. Under the current system, tenants have the right to file appeals of their current rent amount for several reasons. One is if there is a diminution of services at the building in question. For example, if the building contained a laundry room for tenants, and the landlord closes the laundry room, the tenants may be permitted a temporary reduction in their monthly rent until the services are restored. Any tenant in the building may file for a rent reduction on this basis, and tenants can “join in” such an action, so that only one needs to be filed if the service reduction affects them equally. Such actions are filed with the New York State Division of Housing and Community Renewal (“DHCR”), which has local offices in New York City’s five boroughs, as well as Westchester County and upstate in Buffalo. The DHCR will review the evidence submitted and give the landlord a period of time to respond. Once the respond is submitted, the DHCR, if it believes services have been reduced, will issue an order reducing the rent in question. Such an order remains in effect until the services are restored. Our firm has handled such actions before the DHCR. Another reason for rent reduction is if the original regulated rent was calculated incorrectly. For example, a landlord may have taken a larger increase than permitted after the prior regulated tenant vacated the unit. In such a situation, the current tenant can request a rent history of the apartment and file an action with the DHCR requesting a rent reduction, as well as retroactive penalties for the overpaid rent. Rent regulation affects millions of apartments in New York City and its suburbs. Our firm welcomes inquiries related to rent regulated apartments and the legal issues associated therewith.